Chris Main and Martin Johnson travelled to Eslov in Sweden to train on 9 th – 13 th May. 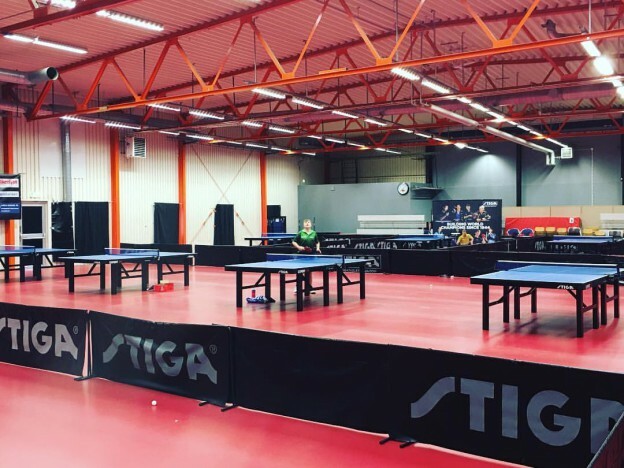 Eslov TTC is one of the most successful and prestigious clubs in Europe with many players from all over the world coming to train and play. Peter Sarz (coached Michael Maze to semi finals of the World Championships in China 2005) coached Chris and Martin throughout their 5 days of high quality and intensive training. Eslov TTC are in of the final of the European Champions League which demonstrates the strength of the team and club. Martin enjoyed being coached my top European coaches and has picked up a lot of technical points which he aims to implement into his training. The week was also useful for Chris as he has learned many new coaching points and perspectives of coaching which he can utilise and take advantage of when it comes to coaching NATTC.